Are you a new Verizon iPhone owner? Or are you generally miserly when it comes to purchasing iPhone, iPod touch and iPad video games? Now is the time to strike if you want iOS games on the cheap! Perhaps most importantly, iPad owners should pick up a copy of the excellent World of Goo HD from 2D Boy, which is but a mere 99 cents today—and today only. And today is quickly coming to an end! But a handful of publishers are celebrating Valentine's Day early by slashing prices. That includes games from Namco, Capcom, Sega, Electronic Arts and Gameloft. Many games are just 99 cents. Some of those deals are coming to a close soon, so make with the digital purchasing if you're gaming on a budget. If money is no option to you and you're simply looking for iPhone and iPad recommendations, here's a post you should be reading. Namco not only has a Valentine's Day themed Pac-Man for sale, but plenty of arcade classics, remixes and iPhone originals for under a buck. These deals are good until February 15. Tons of Sega Genesis games are priced right at 99 cents. While that may be very attractive, keep in mind that almost all are awkwardly played with an onscreen gamepad. Perhaps a purchase of ChuChu Rocket! or Super Monkey Ball 2 might be more prudent. Deals end on February 15. Street Fighter IV for 99 cents? The new Devil May Cry iPad game for the same price. Yep! Electronic Arts' iPhone and iPad deals are ending soon. This is a 48 hour sale and the window is almost closed! Don't miss your chance to buy a copy of NBA Elite 11 for 99 cents. 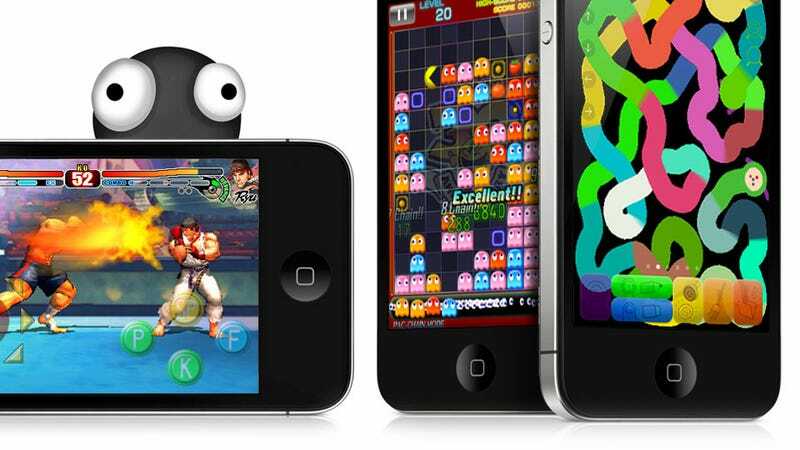 Like your iPhone games to remind you of other video games? Tons of Gameloft specialties are on sale!